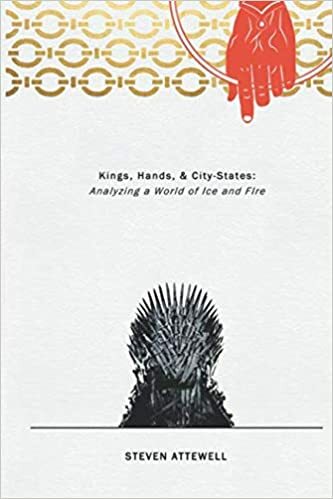 I know that 20th Century U.S social and economic policy is a far cry from Medieval Europe, but if you’re curious to know what’s been keeping me from devoting every waking hour to writing about A Song of Ice and Fire, here’s your chance! And if the topic interests you, I’m hosting a book club over at Lawyers, Guns, and Money. Hey folks, just wanted to post a quick update about the progress of Kickstarter fulfillment. My editor Marc has been sending out physical copies of the books in batches, and I’ve seen the emails showing that people have started to get them in the mail, which is great. On my end, all but one of the signed sets of books have been mailed out and that last one should be going out this week. However, I do want to thank everyone for their patience and their support once more. Quotes have been put into the outline for Sansa III, which is going to be a rather difficult essay to write, because it requires a very delicate touch. The mountain of signature books has been successfully moved from front door to living room, so I plan to start signing them tomorrow. Why Stannis thinks the Stormlords are traitors. Avoiding presentism in economic development plans. Where do the Great Houses put their cash? Re: the final battle happening in the North. Why Marvel characters’ origins migrate from the Lower East Side to Brooklyn. Varying levels of powers in MCU films. 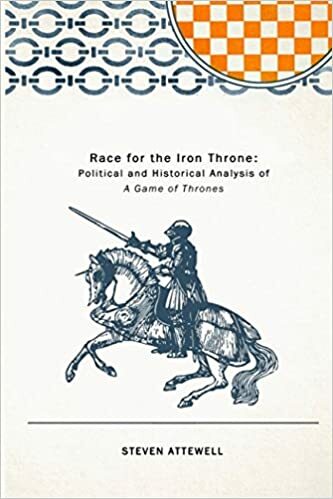 Hey folks, I want to let people know that, now that Volumes I and II of Race for the Iron Throne are in print, my editor and I are working on Kickstarter fulfillment: first, we’re working on putting in orders for all the people who ordered print copies, which we’ll ship directly to their addresses; second, we’re also putting in orders for people who ordered signed copies, which will be shipped to me so I can sign them and then ship them out. Tourneys in the North, Iron Islands, and Dorne? What do archers do with bows when it comes to hand-to-hand combat? The use of food in sieges. Difference between nobles and peers. Would taking Duskendale be a good idea w/o Roose Bolton’s treachery? When was land allowed to be bought and sold in medieval Europe? Advantages of having Harrenhal as a capital. Why did Tywin go west instead of to King’s Landing? How do Ironborn commoners rise in social status? How did galleys change over time? How does slighting a castle work? How to get into policy history. My (Academic) Book is Done! Page proofs and index are done, which means the book is now officially out of my hands and off on its way to the publisher and eventually to print. Which for you all means that I’ll have a lot more free time for ASOIAF writing very shortly. Hey folks, just wanted to let you know that the second paperback is now available on Amazon.com! With Volume II done and dusted, we’re optimistic that Volume I should be heading to print soon, so that you’ll be able to have the whole series on the shelf right next to your well-worn copies of A Song of Ice and Fire. Race for the Iron Throne Is In Print! After meticulously editing for months on end, I am very happy to announce that the paperback edition of Race for the Iron Throne Volume II is now available on Amazon! 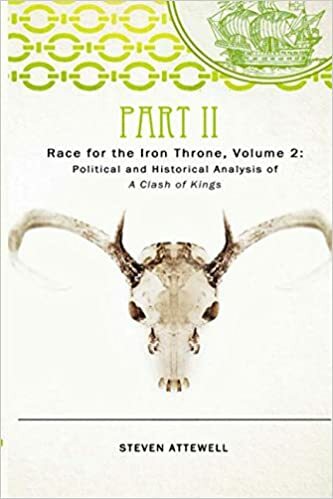 Technically speaking, this is Part 1 of Volume II, because the physical manuscript turned out to be so long – turns out when you write long essays about each chapter in a doorstop fantasy novel, it adds up – that it would have been prohibitively expensive to publish the whole thing in one go. However, now that we’ve gotten over the initial hurdle of editing, proofing, and submitting, Part 2 and Volume I will be coming out much more quickly. So here’s my ask to you all: if you’ve not had a chance to get your copy through the Kickstarter, please buy my book. And then, regardless of whether you’ve bought your book through the Kickstarter or through Amazon, please rate and review the book on Amazon and help spread the word about the book.